We are instrumental in rendering commendable CE Marking from Delhi, Mumbai, Kolkata & Chennai. The CE marking as it has been legally called since 1993, which is a mandatory conformity mark for products placed on the market in the European Economic Area (EEA). With the CE marking on a product, the product conforms to the essential requirements of the applicable EC directives. The CE marking is not a quality mark but can actually be considered to be a quality mark, which means that the product conforms with as many EC directives as apply to the product. It means that the manufacturer has verified that the product complies with all relevant essential requirements of the applicable directive, thus satisfies the legislative requirements to be sold there. The manufacturer or a representation of the organisation placing the product on the market should then sign the Declaration. The Declaration of Conformity is a special document, which the manufacturer signs to say that the product meets all of the requirements of the applicable directives. It must be issued by the manufacturer, or by the person placing the product on the EU market if the manufacturer is not based in Europe. Basically, it's a piece of paper, which someone has to sign to say that the product meets the requirements of the directive(s) which apply to it. The idea is that making someone put their signature on a piece of paper concentrates their mind on whether or not the product really does comply. It also allows an enforcement authority to identify who is responsible for a product and what that person claims to have done to CE mark it. The Declaration needs to be signed by someone who has the power to make binding commitments on behalf of the manufacturer, but for the Declaration to be truly meaningful the signatory should also be someone who has the authority to commit the resources required to ensure that the CE marking process is properly completed. The effect of the Declaration is to identify an individual in the company who can be held responsible if the CE marking on a product turns out to be invalid. We are offering a wide array of European CE Mark Certification. We have arrangements for European notified CE Marking Certification services. Our service is rendered by our talented professionals as per the industry quality standards. In addition to this, offered services are available at the fair market price. Europe CE Mark Certification- Get European CE Marking services. CDG has arrangements for European notified CE Marking Certification services. Backed with years of industry experience, we have been able to offer the finest collection of CE Marking Certification Services. Our offered services are highly appreciated by clients for their low cost and accurate results. Also, these services are rendered by employing highly experienced team members. 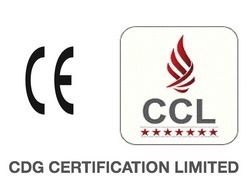 CDG Certification Limited is a leading CE Marking Certification company of India. We have arrangement for CE marking in almost all Eu directives. So if you are looking to CE Mark your products contact CDG. 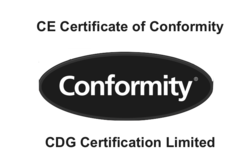 An abbreviation of Conformity European, CE Marking Certificate in Delhi is a legally mandated conformity marking for products regulated by the New Approach Directives, a series of European health, safety, environmental and consumer protection laws. These products must carry CE Marking in order to be placed on the market or put into service in the European Economic Area (EEA), which consists of the European Union (EU) and three countries of the European Free Trade Association (EFTA). CE Marking This mark is mandatory With the CE-marking the manufacturer or his representative within the EU declare that the individual product is in compliance with the general safety regulations in the CE-marking directives. We offer you a wide range of services that support the CE Marking. Marking is required for toys, machinery, electrical equipment, electronic equipment, personal protective equipment, pressure equipment, medical devices, active implantable medical devices, in diagnostic medical devices, telecommunications terminal equipment, simple pressure vessels, gas appliances, lifts, recreational craft, equipment and protective systems for use in explosive atmospheres, non-automatic weighing instruments, cable ways, construction products, explosives for civil use and new hot water boilers. CDG Provides CE Marking Certification, CE Mark, CE Mark Product Testing in Bangalore, Karnataka. Owing to our expertise in this field, we are offering a wide assortment of CE Marking Agencies to our clients. The CE Mark that is affixed to a product or its packaging is considered proof that a product has met the needs of the harmonized European standard or directive. Our service is rendered by our talented professionals as per the industry quality standards. The CE Marking Services demonstrates that a product conforms to the essential requirements set in the EU. This means that the product is safe and fit for the purpose for which it was made. As part of the "New Approach" to technical harmonization in the EU, directives have been established for medical devices. These directives specify requirements which must be met before permission is granted to apply the CE marking to your medical device and placing it on the market. The CE Marking, standing for Conformity European is a European Mark of conformity indication that a product or system to which it is applied, complies with all the applicable European laws (Directives) regulating a necessary level of protection with respect to safety, health, environment and consumer protection. The CE Mark, which is affixed to a product or its packaging, is considered proof that a product has met the requirements of the harmonized European standard, or directive. The European Commission, which administers the program, describes the CE Mark as a passport for goods to be sold product into compliance within the internal European market. The first step to compliance is determining which directives apply to the product. A product may be regulated by more than one directive. The CE mark does not disclose which directive or standards apply to the product, nor will it indicate the method of conformity assessment used to bring thee. This information is provided by other accompanying documents, such as the Declaration of Conformity. The Manufacturer or the Authorized Representative affixes the CE marking to the product. Owing to the support of well-educated professionals, we are providing remarkable CE Marking. Our organization provides CE mark / CE marking either through CE mark notified bodies or through CE mark self certification. The services offered by us are provided employing new innovative techniques and methods under single roof to leave no scope of complaints. The CE Marking Services, which is for a product or its packaging, is considered proof that a product has met the requirements of the harmonized European standard. The European Commission, which administers the program, describes the CE Mark as a passport for goods to be sold freely within the internal European market. It is required by law if the product falls under one of the New Approach Directives. It is not a quality mark, nor is it a mark for consumers. Intended for Member State authorities, it is the visible sign to those authorities that your product is in compliance with the New Approach Directives. All manufacturers are required to affix the CE mark to products that are governed by New Approach Directives. CE marking on a product indicates to all authorities that the product is in compliance with the essential health and safety requirements of all directives that apply to the product. CE Marking Services in Ambala, CE Marking Services Ambala, CE Marking Ambala, CE Marking certification in Ambala. The European Commission refers to the CE Marking Services of products as a "passport" which can allow a manufacturer to freely circulate their products within the European marketplace. The marking applies only to products regulated by the European Commission’s health, safety and environmental protection legislation (product directives) but this is estimated to include more than 50% of the goods currently exported from the U.S. to Europe. All other consumer products are subject to the requirements of the General Product Safety Directive 92/59/EC, which does not require the CE-mark. 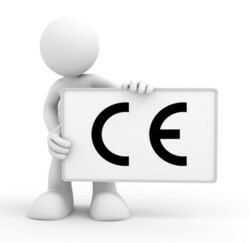 The actual CE Marking is the letters "CE" which a manufacturer affixes to certain products for access to the European market (consisting of 18 countries and also referred to as the European Economic Area or EEA). The letters "CE" are an abbreviation of a French phrase "Conformite European". The marking indicates that the manufacturer has conformed with all the obligations required by the legislation. 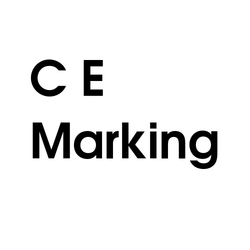 Initially, the phrase was "CE Mark": however, "CE Marking" was legislated as its replacement in 1993. CE Marking was introduced by the European Union to make trade easier and cheaper between European countries. By introducing CE Marking, a manufacturer claims that their product conforms to the set of minimum legal requirements in reference to health and safety. 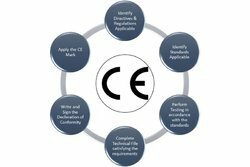 With the increasing popularity of CE marking, customers often look for CE mark on the product that they are willing to purchase, as an indication of fulfilling the requirements of minimum standards. The CE Mark, which is affixed to a product or its packaging, is considered proof that a product has met the requirements of the harmonized European standard, or directive. The European Commission, which administers the program, describes the CE Mark as a passport for goods to be sold freely within the internal European market. Various types of conflicting national regulations are eradicated with the introduction of CE Marking to your product. If your product is CE marked then you don’t need to adapt various set of requirements of the different member states of the EEA. CE Marking not only brings cost savings for producers, but it also enhances the safety of products. Basically, CE Marking is a product certification which helps organizations by expanding the horizons of sales and fulfilling quality objectives. Conformity to CE Marking certificate enables the entry of the product to European countries. Dealing with distributors, importers and sales agents will turn out to be an easy task if your product carries CE Marking because it diminishes the complex compliance regulations. You need to establish first which, if any, of the New Approach Directives or older Global Approach Directives applies to your product. CE marking only applies to products within the scope of these Directives. It should not be applied to products if they are outside the scope of the Directives. The European Commission's "Blue Guide" (Guide to the Implementation of Directives Based on the New Approach and Global Approach) lists Directives where the CE Marking will be applicable. It is available for download from the Commission website. For specific information on the Directives, please read our relevant guidance documents (see below). The same principles above apply to imported products. It is the responsibility of the importer / person placing the product on the market to ensure that the product is correctly CE-marked. The CE Mark, CE Marking and CE Certification. If you are manufacturer and are planning to export a product which falls within the scope of one or more of the markets in any of the member states of the European Union (EU) or European Economic Area (EEA) then it is necessary that you apply for CE marking of your products against the essential requirements of all the applicable directives. 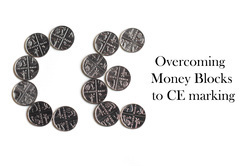 Please note that CE Mark is a mandatory mark for most (around 70%) of the products sold on the EU market. The New Approach Directives will provide a range of compliance routes for your product and show you, usually in a modular format, the available routes to compliance. You must then decide which is the best fit for your company set up and follow the routes detailed in the Directive. In many cases the compliance route will require you to use a Notified Body to assist with your certification. The essential requirements of the New Approach Directives differ from directive to directive and product to product. We offer a full range of Self Certification for CE Marking Services compliance and CE management services, for any industry, across the globe. CE marking services are services used to indicate conformity with the essential health and safety requirements set out in European Directives. The CE Mark, which is affixed to a product or its packaging, is considered proof that a product has met the requirements of the harmonized European standard, or directive. The first step to compliance is determining which directives apply to the product. A product may be regulated by more than one directive. The CE mark does not disclose which directive or standards apply to the product, nor will it indicate the method of conformity assessment used to bring the product into compliance. This information is provided by other accompanying documents, such as the Declaration of Conformity. The Manufacturer or the Authorized Representative affixes the CE marking to the product. CE Marking Mumbai, CE Marking in Mumbai, CE Mark self certification in Mumbai, CE marking services in Mumbai. CE marking is obligatory for any product covered by one or more of the European technical regulations requiring the affixing of the CE marking. Without the CE marking, these products are not allowed to be placed or to be put into service in Europe. In this regard, the CE marking sometimes is called a ‘Trade Passport’, because like carrying a passport when entering a country, the CE Marking is required for market access. The CE Marking is a kind of trade passport for the European marketplace it allows the manufacturer to freely circulate their product throughout the 18 countries of the European Economic Area. There is only one set of requirements and procedures to comply with in designing and manufacturing a product for the entire EEA. Various conflicting national regulations are eliminated. As a result, the product no longer needs to be adapted to the specific requirements of the different member states of the EEA. In addition, it may be considered a benefit that by implementing the requirements, the product will be safer for the user and this may also reduce damage and liability claims. The CE Marking is a mandatory European marking for certain product groups to indicate conformity with the essential health and safety requirements set out in European Directives. The letters 'CE' are an abbreviation of Conformity European, French word for European conformity. The CE mark must be affixed to a product if it falls under the scope of 'New Approach' Directives of European union. Availing CE Marking Certification is imperative for all those units which want to place their offerings in the European Union Market. The European Union is keen to ensure that all products entering and used within the Union are such as not to impose a threat to consumers or the environment. The European Community aims to ensure that industrial products made available on the Community market respect a high level of protection of public interests such as health and safety, protection of consumers and the environment. A common indication of a product’s fitness for placement within the Community is the affixing of a CE Mark. Backed by the vast industrial experience we are engaged in offering a qualitative range of CE Mark Certification Services. 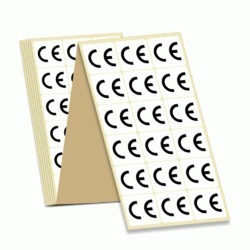 The CE (Conformité European) Marking is a European Mark of conformity indication that a product or system to which it is applied, complies with all the applicable European laws and regulating a necessary level of protection with respect to safety, health, environment and consumer protection. CE Marking this mark is mandatory With the CE-marking the manufacturer or his representative within the EU declare that the individual product is in compliance with the general safety regulations in the CE-marking directives. We offer you a wide range of services that support the CE Marking. 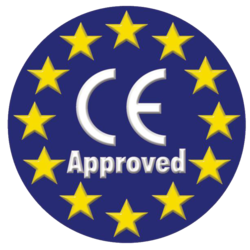 The CE Marking, standing for Conformité European is a European Mark of conformity indication that a product or system to which it is applied, complies with all the applicable European laws (Directives) regulating a necessary level of protection with respect to safety, health, environment and consumer protection. ATEX is the name commonly given to the framework for controlling explosive atmospheres and to the standards that electronic equipment needs to comply with in order to be used safely in hazardous areas. It is based on the requirements of two European Directives. The aim of Directive 94/9/EC is to allow the free trade of ‘ATEX’ equipment and protective systems within the EU by removing the need for separate testing and documentation for each Member State. In Great Britain, the requirements of the Directive were put into effect through the DTI’s Equipment and Protective Systems Intended for Use in Potentially Explosive Atmospheres. ATEX is about enabling to trade within Europe. Its purpose is to establish a level of safety which is to be regarded as sufficient to ensure that national authorities would accept the equipment certified. The ATEX product certification process includes testing and assessment of a product with an ATEX certificate and report being issued for conforming product. Within Europe all explosion-proof equipment and systems fall under the ATEX Directive. This includes anything used within, or in conjunction with potentially explosive atmospheres such as safety, control and regulation devices and protective components, equipment and systems. Based on the characteristics of the facility, the processed or stored substances, as well as other factors, the work areas may be prone to generating explosive atmospheres, and are therefore bound to comply with the requirements of ATEX Directive 99/92/EC. This means that those responsible for the facilities must determine the level of risk and the precautions that need to be taken. The ATEX guideline has been in force in the European Union since 2003 and is applicable for pneumatic components among others. “The certification of our air actuator products was an important step. We can now supply our industrial customers with an alternative design for pneumatic applications in potentially explosive areas. If you are manufacturing products intended for use in potentially explosive atmospheres, you must provide assurance that your equipment will not cause an explosion during routine operation. Demonstrating compliance with the ATEX Directive 94/9/EC will provide that assurance. It is mandatory for these products to bear both the Distinctive Community Mark (the Ex Mark in hexagon) and CE marking before being sold in the EU. CDG Certification Ltd arranges ATEX certification services in India & we are the pioneer company for the same. So contact us today for ATEX certification services in India. We are a leading organization of the industry, dedicatedly engaged in offering an optimum quality array of Competitive Fee CE Certification for our esteemed customers. Our offered services are highly appreciated by clients for their low cost and accurate results. Also, these services are rendered by employing highly experienced team members. In order to keep pace with changing trends, we are offering a wide assortment of CE Marking Companies Services. We have expertise in CE Marking certification. To meet the market standards and for ensuring cost effectiveness, these are rendered with the assistance of the latest technologies. CE Marking companies in Delhi, Mumbai, Kolkata, Bangalore India. We are leading CE Marking company of India & have CE marked thousand of products. We have expertise in CE Marking certification. The EC Declaration of Conformity is a special document, which the manufacturer signs to say that the product meets all of the requirements of the applicable directives. It must be issued by the manufacturer, or by the person placing the product on the EU market if the manufacturer is not based in Europe. 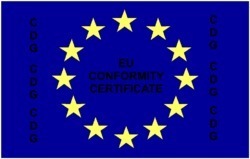 The CE marking directives impose an obligation for the manufacturer, or his authorized representative established in Europe, to draw up a Declaration of Conformity (or ‘EU Declaration of Conformity’) as a part of the conformity assessment procedure. The Declaration must be issued before the product is placed on the market in Europe. (In the Construction Products Regulation this document is called the ‘Declaration of Performance’. The Machinery Directive requires a Declaration of Incorporation for uncompleted machinery). The European product Directives are mandatory for products that fall under the essential requirements out of the Directives in force. 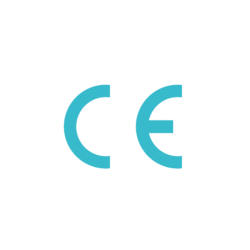 Once the essential requirements out of the European Product Directives the CE-marking which is known as the CE mark can be affixed to a product. The CE-marking must be affixed in a manner that it is easily legible and cannot be removed from the product concerned. Once the CE mark is affixed to a product it must be supported by an official Declaration of Conformity or DOC in which the manufacturer declares that the product concerned is in compliance with the essential requirements out of the European Directives in force. Every product placed in the EEA (European Economical area) covered by the principles of the New Approach Directive must bear the CE-marking. However, a product may not be CE marked, if it is not covered by a directive providing for its affixing. Where products are subject to several directives, which all provide for the affixing of the CE-marking, the marking indicates that the products are presumed to conform to the provisions of all these directives. A CE declaration of Conformity or DOC is officially known as EC Declaration of Conformity.